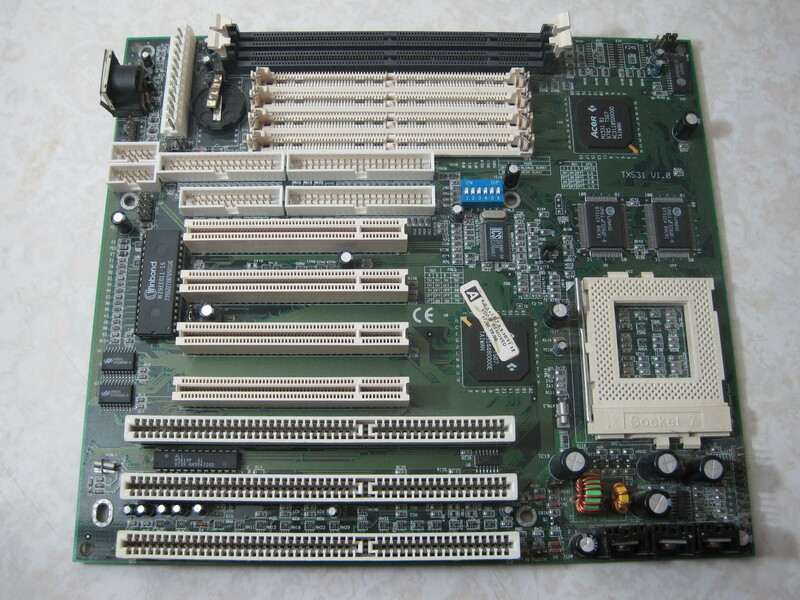 This week I’m taking a look at the first of many socket 7 boards I have in my collection. 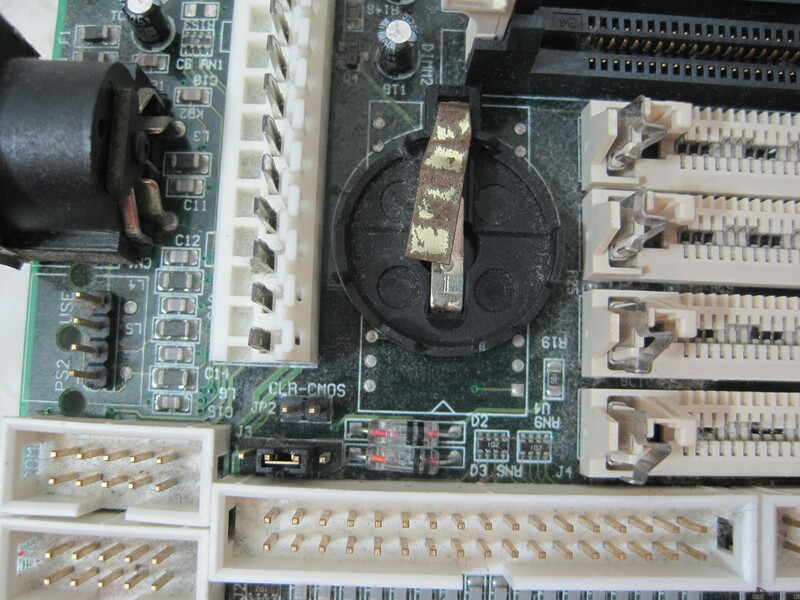 The Socket 7 standard lasted a long time compared to most others because of the wide array of hardware support the chip-sets had for CPU and memory technology. The faster Super-Socket 7 even competed with the next generation of chip-sets from Intel, having comparable memory transfer speeds for quite some time. AMD and Cyrix both stuck with the Super Socket 7 for much longer. Today’s board is actually my older brothers, one he bought in the first PC he bought for himself. It was an AMD K6 rated at 233Mhz equivalent speed, which wasn’t bad for when he bought it. 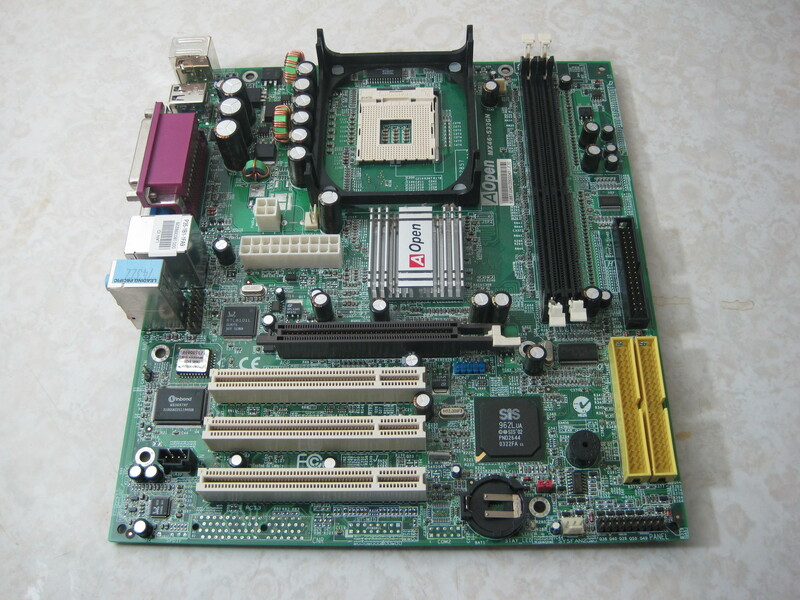 There are a few things that set this board apart, it was made by a company called DataExpert (also known as ColorExpert) and the chip-set was made by Acer. 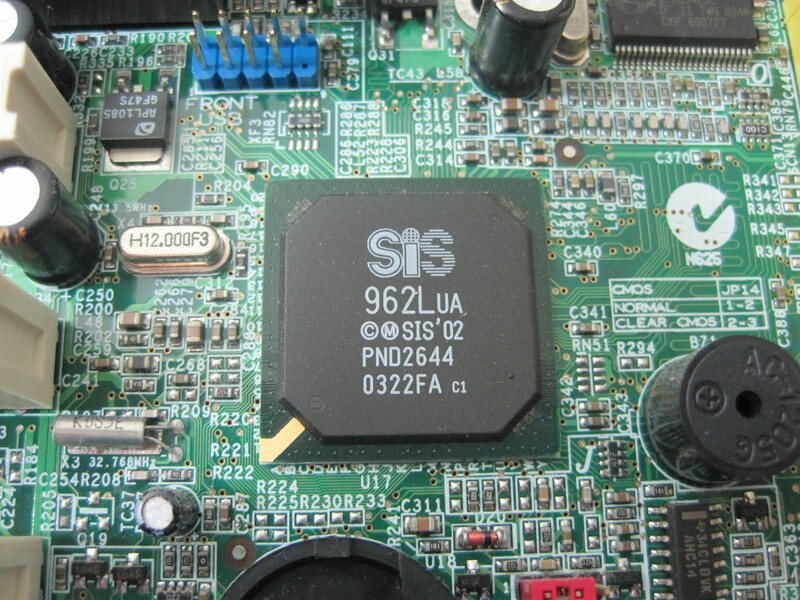 Judging by the date codes on the chips the board was made late 1997 or early 1998, which was very much a transitional time in terms of memory technology. SDRAM was taking over from the older 72-pin EDO and Fast Page RAM that was the staple of the late 486 and pentium machines. 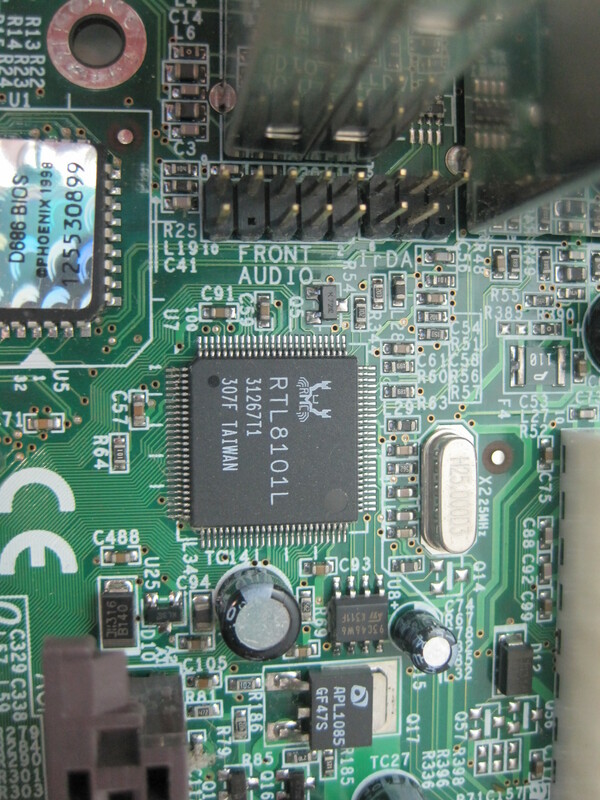 Many boards like this one included sockets for both, but almost all only allowed one type of memory be installed at a time. Unusually this board did allow both types to be installed at the same time, it was configured with 16Mb of each at purchase. Although this was un-documented. I couldn’t find out much about the Acer chip-set, except that it is a clone of an Intel design. It doesn’t have much in the way of on-board hardware, just the usual storage controllers, serial, parallel and keyboard interfaces. 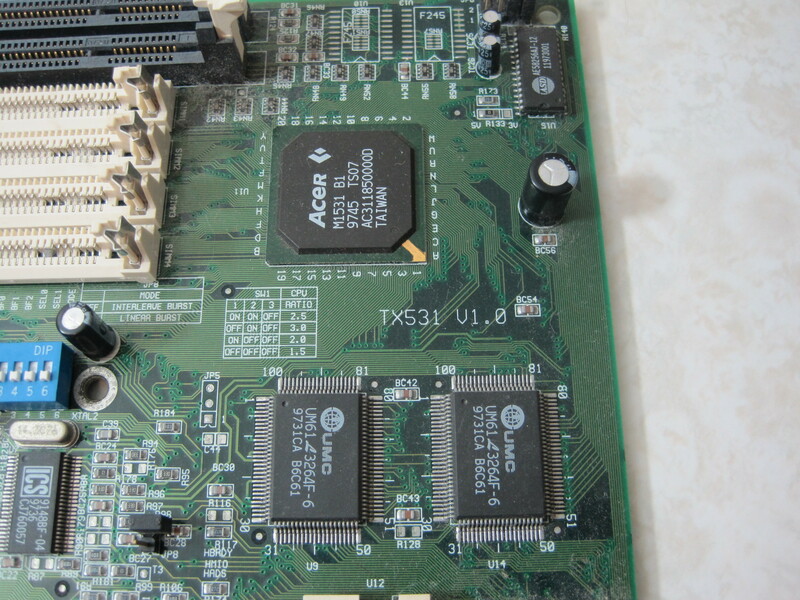 There is some on board cache in the form of two UMC chips that make up the 512Kb pipeline burst cache. Another interesting thing you don’t often see on digital electronics are the two glass-envelope style diodes shown here. I’m used to having seen these as a signal diode in a crystal set or basic AM radio, I’m sure that’s not the case here. You’ll notice that the battery clip was broken, Dad accidentally did this late in this boards life when changing the cell. He installed this strip of metal as a kludge to keep the machine going for just a little longer. In service we probably got at least 10 years (maybe a bit longer) out of this board. Which I think is pretty good considering the manufacturer! I did eventually find a manual for it, but DataExpert have long since disappeared. The manual is a bit hard to read as it suffers from engrish, but it does have the information you need for installing the board. From the service technicians point of view it’s reasonably easy to work on, but not perfect. Setting the processor and bus speed is done via DIP switches, luckily there is a silk screen reference for these, but some details on some jumpers are absent from the silk-screen. You should be able to install and set this board up without the manual. With information about this board scarce on the internet it’s hard to pass much more comment about it. Our example was reliable over it’s life-span, and performed reasonably for the tasks given to it at the time. 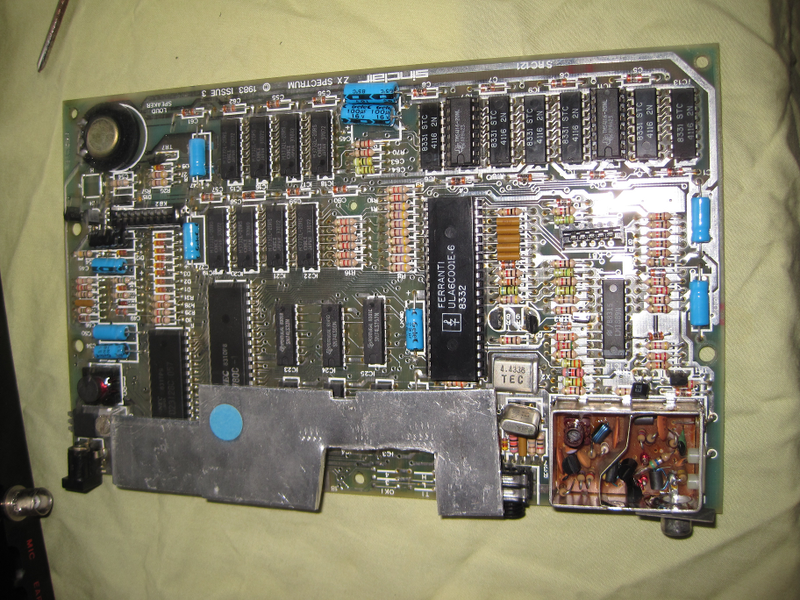 It isn’t really all that remarkable really, there were many different manufacturers making Socket 7 boards of this standard and better. Perhaps that is why DataExpert isn’t around any more, they were crowded out of the market. 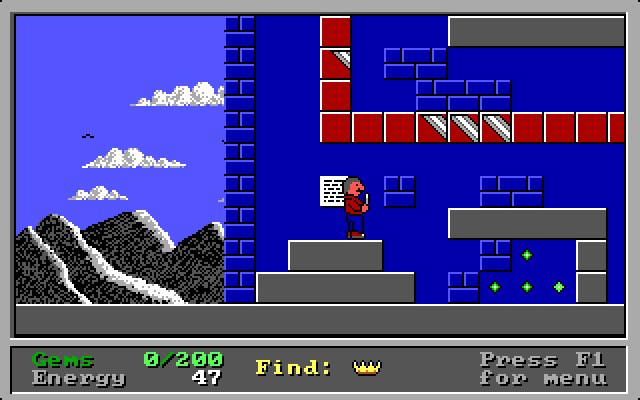 Having not played a DOS game in a few weeks and having my other plans fall through, I’ve recently had a quick go at the original Clyde’s Adventure. 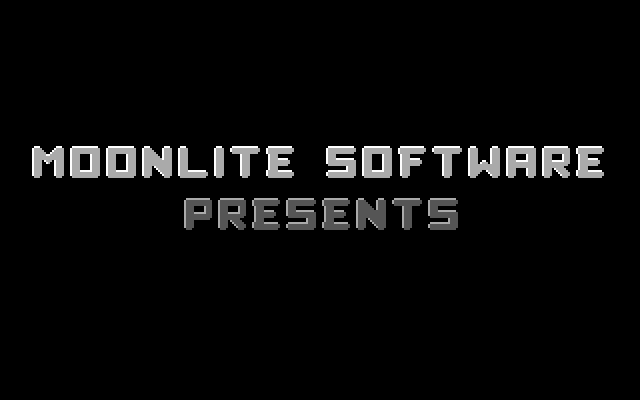 It was made by Moonlite software back in 1992 and is a puzzle-platform game. It has a sequel that I played quite some time ago. The game uses EGA graphics and has a simplistic but very effective art style. I was impressed with the animations and colouring, which in some places actually looks like it was done with VGA capabilities. There are also animations for many of the static tiles, which brings a bit of life to the levels. Even the birds in the background move around. I did notice a little flicker under Dosbox, but I suspect that wouldn’t happen on real hardware. Sound support comes in the form of simple Adlib effects and music. Unfortunately it seemed to not sound very good under dosbox on my windows XP machine, but was ok on my macbook. 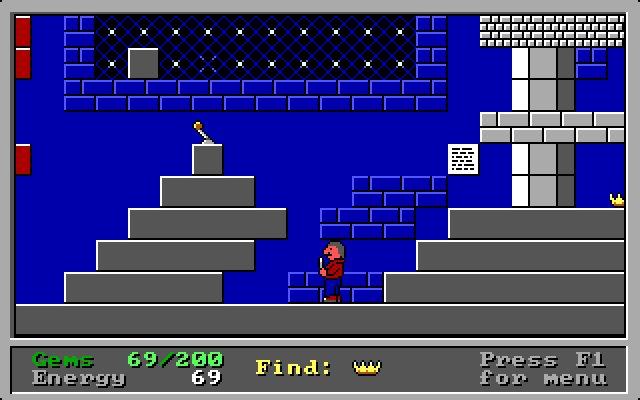 Perhaps I have a setting wrong on my PC, but on real hardware (or when working under Dosbox) the music during the levels is kinda catchy and the sound effects are quite nice. However it seems there is only one song that repeats over and over, I didn’t find it annoying, but if you do there is an option to turn off the music. The game was quite unique at the time. Firstly there are no enemies to dodge or shoot and there are only really two ways to die: running out of energy, or touching something deadly such as spikes or lava. Energy is basically your health, and unusually you use energy when you move, jump or fall a long distance. Luckily you can find more in the level, but it is generally quite sparse. This means you really need to plan your path and know the levels in order to successfully complete them. Because of this it took quite a few goes and a few hours to even beat the first level. 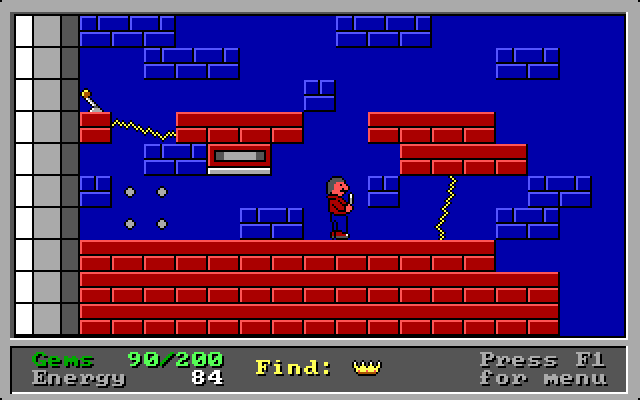 Clyde carries a wand to temporarily destroy some bricks, and this combined with switches and magic triggers will reveal new areas, Gems to collect or bombs that can help open areas up. These create some interesting puzzles, especially when you’ve got limited energy. Clydes Adventure is quite challenging, much more challenging than it’s sequel. I spent quite a lot of time learning each level, dying and having to try again. But strangely it wasn’t really frustrating, perhaps because there is no lives system, and you only really die by making a mistake with the controls or path you take. Being insta-killed on spikes because I jumped a little short did annoy me a little though, especially closer to the end of a level. Because it is quite challenging and time consuming I didn’t get to play as far into it as I would have liked. So I might have missed seeing some of the features of the game. Still I really enjoyed what I did get to play, only it’ll almost certainly take me several weeks to finish it, if I have time to play. I was given a power bank quite some time ago that I’ve used sporadically when I’m away from home to charge my devices. Recently when I went to charge it I found that the connector was intermittant and about to fail. So I decided to take it appart and see if it is repairable. Taking it appart was fairly easy, I just peeled off the upper label, removed 4 screws and it came appart. Here’s a photo of the board. The board is of a fairly simple design, but there are some notable deficiencies. Firstly you’ll notice the lack of any bulk storage capacitors, but just a few small surface mount ones. The main inductor is the only component on the other side of board, and it is pretty small. 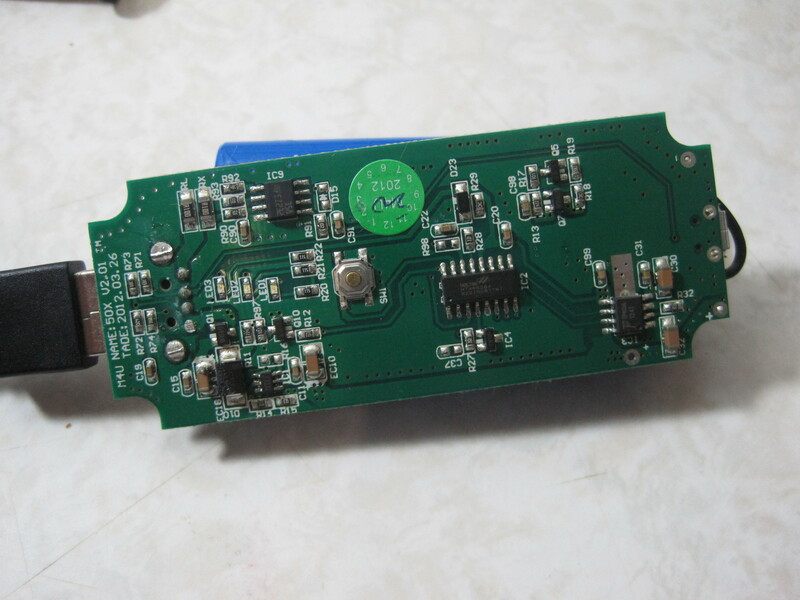 So I suspected that this power bank might have severe problems with ripple on the output. 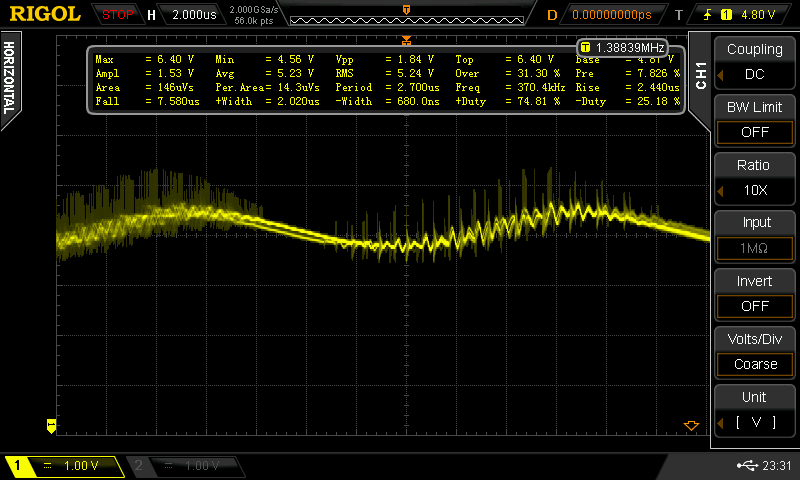 I decided to investigate, so I got out my oscilloscope. 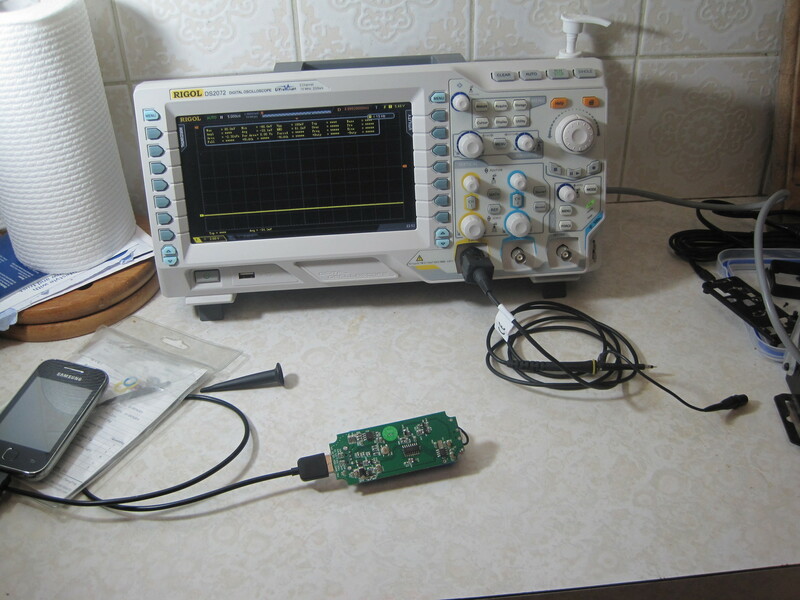 Basically I hooked up a load to the power bank, my phone and my tablet in turn, and used my oscilloscope to measure the waveform on the output pins of the power bank. Here’s a screen grab from the scope showing the waveform with my phone on charge. Yikes! The ripple is really quite bad and appears to contain higher and lower frequency components. The most disturbing thing is the range of the voltage. 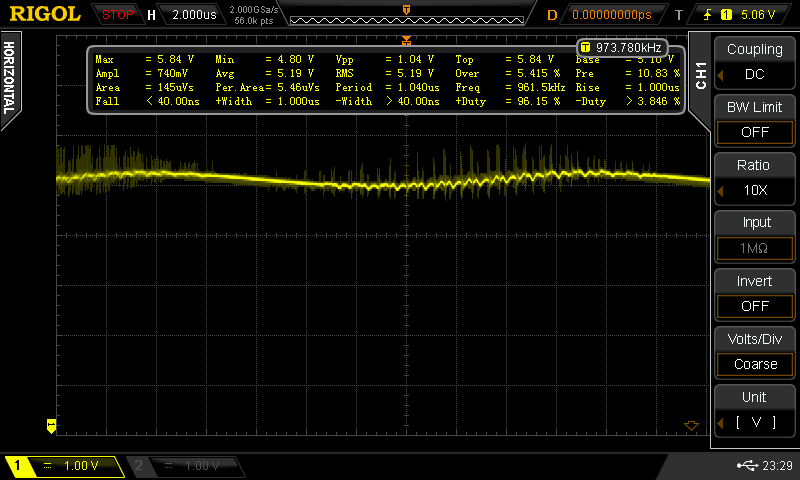 5.84V is greater than the usually 10% tollerance accepted, which could damage the charging circuit of a phone. This is likely because the board lacks any bulk storage capacitors. Charging my tablet which imposes a larger load only seems to make things much worse with the ripple magnitude and frequency increasing. The voltage peaks at 6.4V which is way to high, understandably I’ve taken this power bank out of service because of how bad this is. I was going to repair the charging problem which turned out to be a faulty input socket, but I guess that’s no longer necessary. I wondered how the unit would go with some bulk capacitance added, I noted that the Arduino that I have has exactly such capacitance on it’s input circuitry, so I tried connecting it and measuring the ripple. I didn’t get a screen capture, but the ripple became almost flat and settled at a peak of 5.13V. If they had added the bulk capacitance needed, I’m sure the ripple would have been reduced to usable levels. I’m certainly no expert when it comes to electronics, but I can tell when something is not good. If you’re more interested in power banks I’d suggest you look into reviews and tests of them on Gough Lui’s blog/website. He performs much more detailed tests and has tested a number of power banks over time.